By Adam M. Trenk, Esq. 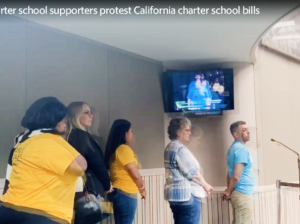 A strong education, either formally in the classroom or informally through real-world experience, is the only reliable predictor of a person’s success. Working in the equestrian industry is no different. The greater your wealth of experiences and knowledge working with and around horses, the more likely you are to achieve your goals going forward, on the trail, in the training pen, at the show, or in the business of working with horses and your fellow equestrians. If you want a career working with horses and are considering a higher education, the Scottsdale Community College may be the right choice for you. Scottsdale Community College has offered an Equine Sciences program since the 1970’s. In that time the program has grown and evolved with the industry and advancements in technology. Today the Equine Sciences program boasts an advanced curriculum including courses in equine behavior, nutrition, and reproduction. Some of the program’s courses involve off-site work at equestrian facilities in the area giving students an opportunity to earn credits for hands-on experiences with horses. As a local attorney working in the equine industry, I have been peripherally involved with the program for several years. I first gave guest lectures to the Equine Business & Law class nearly six years ago, and I continue to do so once each semester. For the past year, I have also served on the Equine Science Program’s advisory board. The Equine Science program’s advisory board includes professionals working in varying aspects of the horse industry, including trainers, equestrian event producers, professional USEF judges, and published authors. Our objective is to ensure the Equine Science program continues to provide the best possible learning experience the College is capable of. The board recently helped identify a new director for the program and is currently working to identify new opportunities for the students to engage hands-on at horse breeding and training facilities. Completing the Equine Science program means earning an Associate of Applied Science (“AAS”) degree. In the process of achieving this credential students will have the chance to ride, conduct research, and learn about nuanced aspects of horses and the industry that is built around them. The AAS degree in Equine Science prepares students to transfer to four-year universities if they choose, or gives them the advantage to work in the equestrian industry. Practicing equine law means that the issues I deal with on a daily basis are relevant to equine business material that the students in the Equine Science program study. I am repeatedly impressed by their level of interaction each semester when I enter the classroom. Because Scottsdale Community college tries to limit the size of a class to thirty or less, students, professors, and guest lecturers are able to connect and engage in informal dialogues and delve deeper into subjects that are of particular interest. The students are always eager to understand how to properly structure their own small businesses to protect their interests when it is appropriate to use written contracts before engaging in the exchange of goods or services, and what the important elements of those contracts are. I also generally spend a lot of time discussing liability and the importance of having participants in equine activities sign properly crafted waivers. The Equine Science’s programs faculty strives to have other guest lecturers as well, making sure that the educational experience the AAS candidates receive is well rounded and practical. Spring classes start at the Scottsdale Community College on Tuesday, January 16, 2018. The deadline for enrolling in the Spring semester is January 9, 2018, and the course schedule is below. If you or someone you know is interested in enrolling in the Equine Science program, please contact the new program director Jay Clements at 520-235-6870 or by email at jay.clements@scottsdalecc.edu. 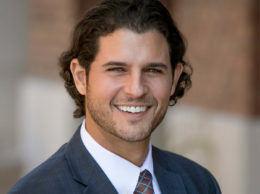 Adam Trenk is an Attorney at Rose Law Group pc (www.RoseLawGroup.com). His practice areas include Equine Law, Strategic Development, Transactional Matters, Conflict Resolution, and Government Relations. 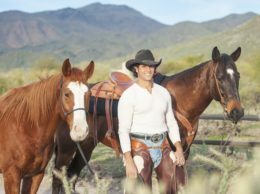 He is an Avid Horseman and active in the Equine Community. 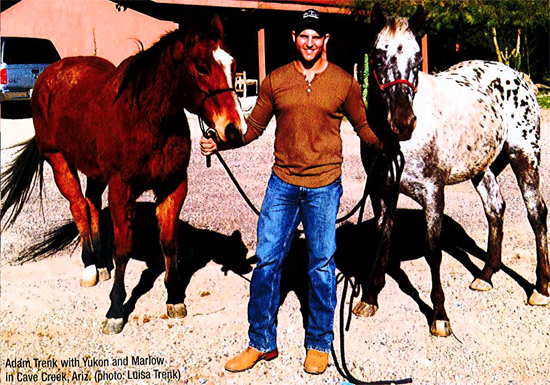 Trenk holds seats on the Board of Canter Arizona, a Non-Profit that Helps Rehabilitate and Adopt Out Ex-Racehorses, and on the Advisory Board for the Scottsdale Community College Equine Science Program. He served Cave Creek as an Elected member of the Town Council from 2009 to 2011, and again as Vice Mayor 2013-2017. Adam Trenk can be contacted by email at ATrenk@RoseLawGroup.com or by phone at 602-402-3335. Like him on Facebook at www.facebook.com/EquineAttorneys. Follow him on Instagram@TheLawHorse.